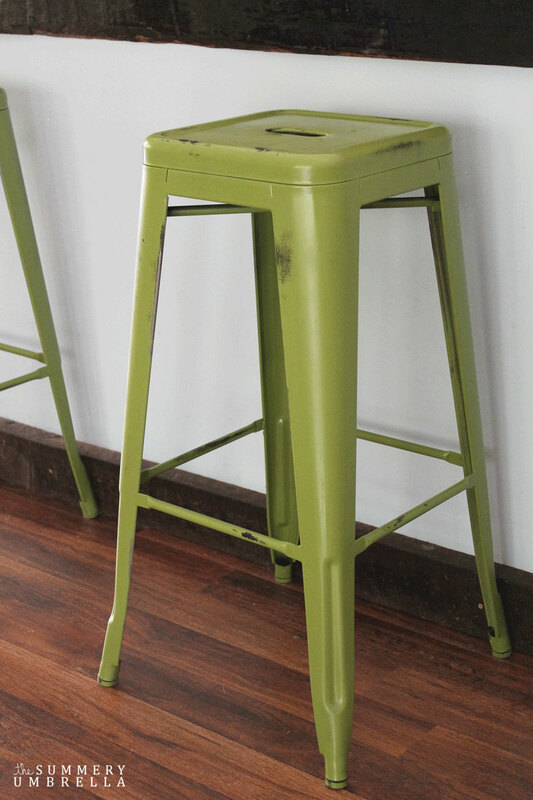 Not a fan of the color of your metal stools? Don’t worry! Learn how to paint and distress metal with this quick and easy tutorial. 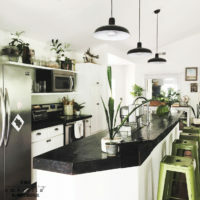 Last Christmas I purchased these gorgeous metal bar stools from Overstock to complete the look around our kitchen island. However, even though I loved everything about these beauties I found myself wishing they were. . . different. Honestly, I love the color, but with our kitchen countertops being so dark as it is I felt like the bar stools just didn’t look right, or have the “popping” factor that I was looking for. First, I tried just distressing the metal and the original paint job, but … ugh. Still not getting it done for me. So, what’s a girl to do when faced with suchhhhh a dilemma? Well, you either go big and bold, or you go home. 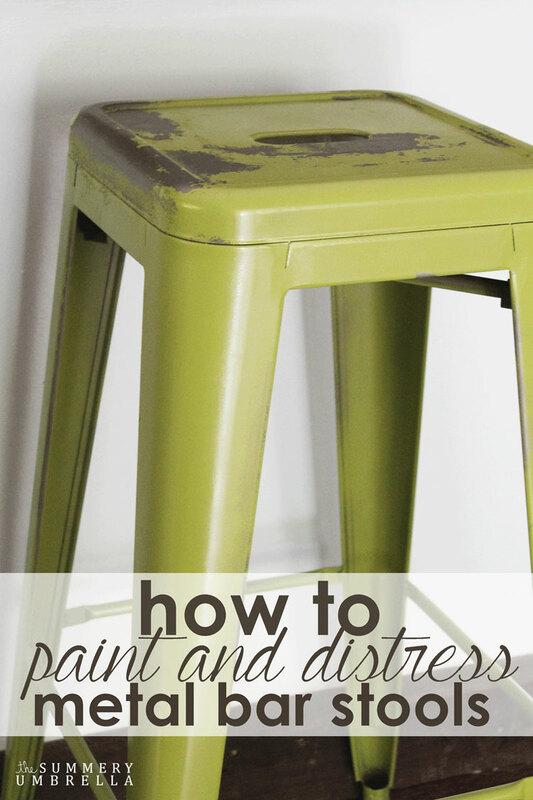 Are you ready to learn how to paint and distress metal bar stools? Good! Let’s get started! 1.) 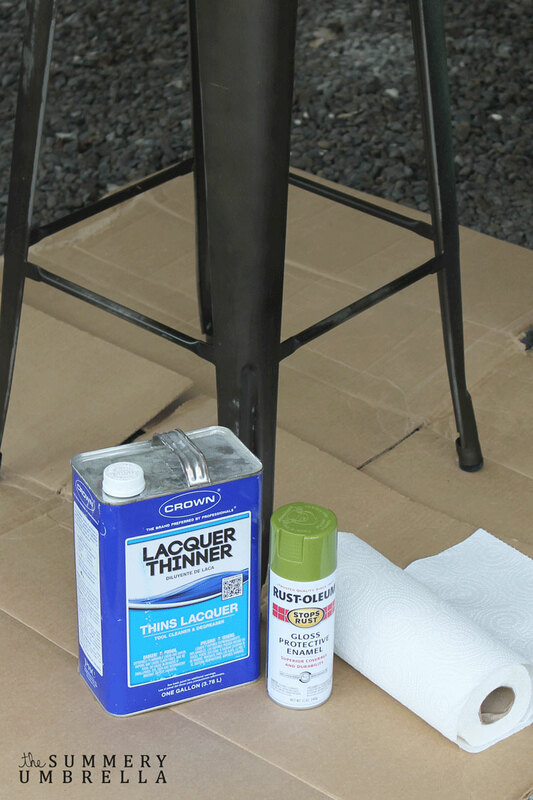 First things first, wipe down your stools with a little bit of lacquer thinner to clean off any random debris that could cause the spray paint not to stick, or give it a weird texture. 2.) 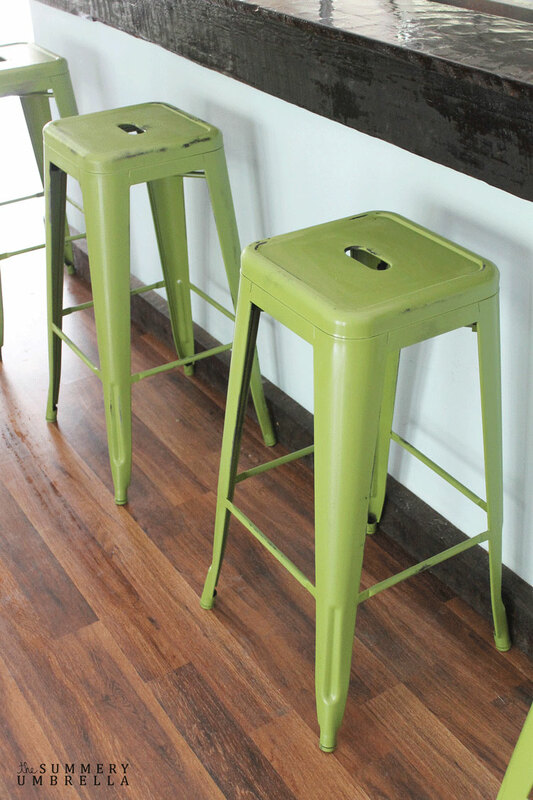 Pick out the color of your choice for your stools (or whatever project you’re working on). I’m happy to announce that this brilliant can of happiness did just the trick! I know I haven’t mentioned it in any of my previous posts, but I recently attended the blogger Haven Conference, and had such a great time! I met so many new faces as well as finally be able to put a name to a personality. Always a plus! One of the other amazing bonuses about this conference was the amazing goody bags that everyone received! 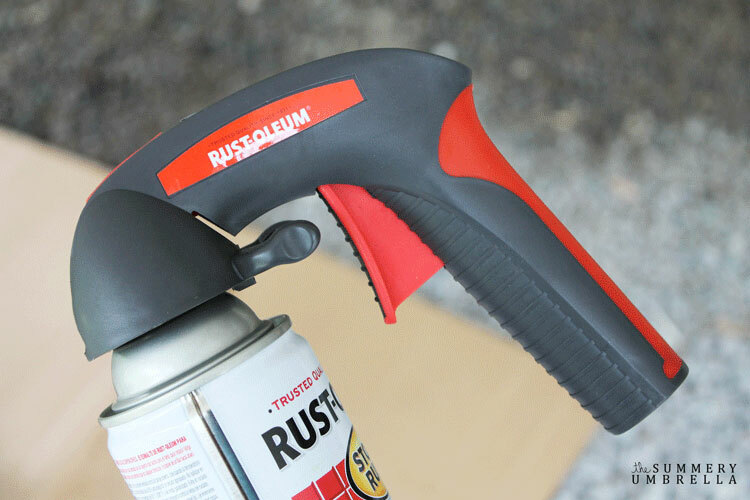 For instance, this handy-dandy Rust-Oleum Spray Paint Comfort Grip is such a dreamboat to use. No joke. I also have the standard version as well, and it works…. but this one is definitely my favorite. Also, if it’s crazy humid in your location you might want to bring your project inside a garage with a fan or a/c unit. I started off doing all the stools outdoors, but after an hour I found that they were still super tacky. So, indoors they went! 4.) After you have painted all your stools and they’re good and dry it’ll now be time to distress. My favorite method? Lacquer thinner. Just put a little bit on a paper towel like you were cleaning them again, and buff out the edges. Depending on how much distress you will want will ultimately depend on how long this part will take. For me, maybe 10 minutes. Nothing too crazy. 5.) 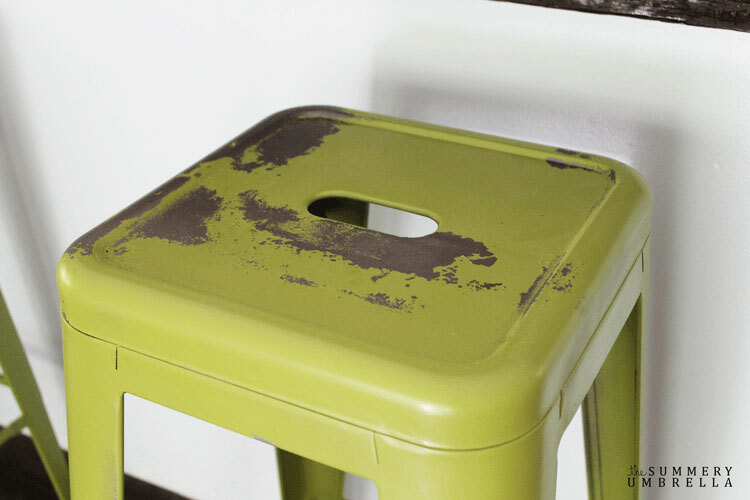 If you would like, go ahead and spray down your stools with a clear matte finish. Honestly, I do not think this step is necessary (since you want the distressed factor! 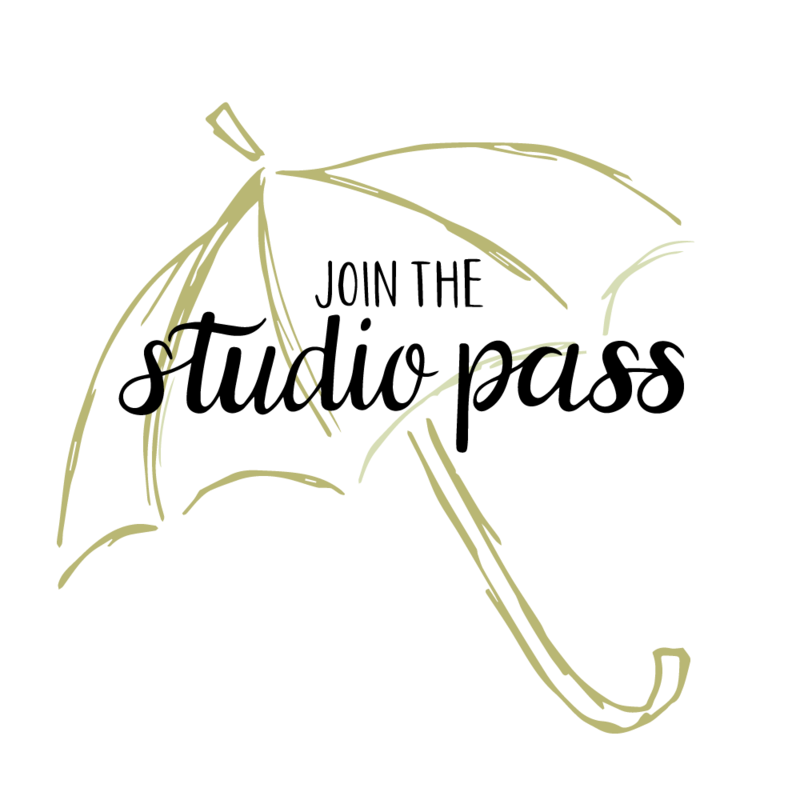 ), but it can’t hurt to add a little bit of protection. I still can’t believe how much of a difference this color swap has made! Soooo incredibly happy that I went with my gut. 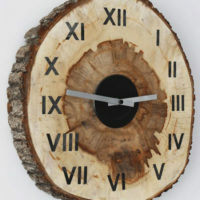 In a few very short weeks I’ll have the remaining projects posted for the kitchen, and then I will FINALLY be done! Yay for getting projects off of my to do list! You can’t see it, but I’m totally jumping up and down right now. No, I am NOT twerking! Who said that? First off, trust me, those crazy days are over for this girl. I don’t think I would even know how to move like that… or want to! 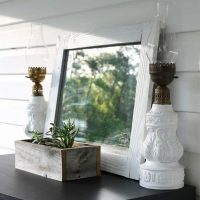 Looking for more inspiring DIY projects? 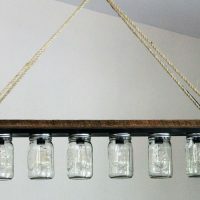 What kind of projects have you guys been creating lately? Wow! Such a happy color! Appreciate the great tutorial, as well! I love how they turned out. I have been wanting some of those metal bar stools for my new island, but I couldn’t find any colors that I liked, now I can just grab the next ones I find a good deal on! I love how these turned out. Its really amazing what some paint can do to really brighten up that space! 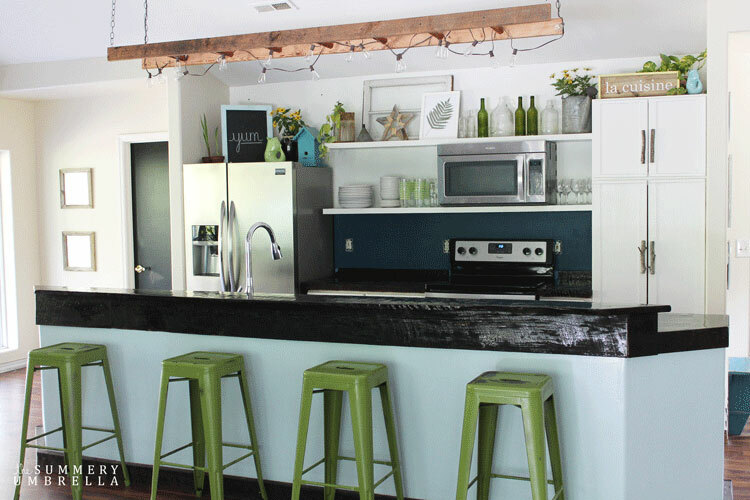 LZ, I am in love with your kitchen and the new color of your barstools is fabulous… I love GREEN! 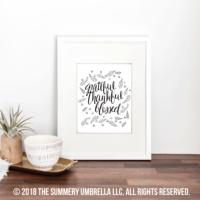 I’ll be featuring you next week on the blog… THANK YOU so much for visiting our party! I love the new look and the color is awesome. They look great in your kitchen. I have a stool that needs to be painted. Thanks for the tips. 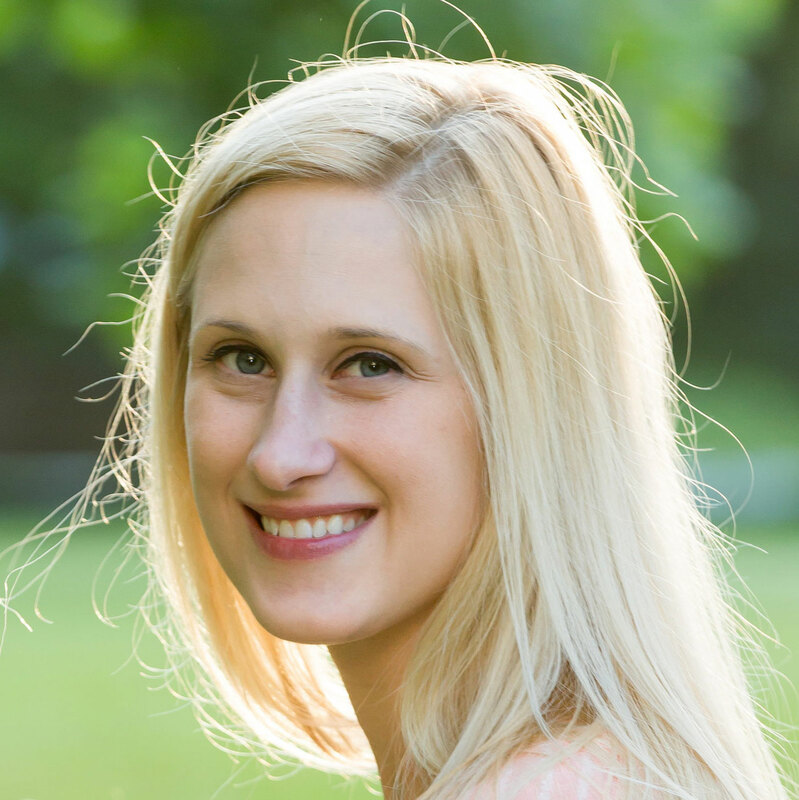 Hi Erin and thank you! Isn’t lime green the best?! I’m such a huge fan, and I’m so happy you like it too :) Best of luck with your next project! Hi! Your stools look lovely, I love the color! I am looking to paint/distress wrought iron wall peace. Would I use the same method I would for metal? Also, does any old spray paint do? Thanks so much! Hi there! I am painting my barstools today because of you! :) Thanks so much for the tutorial. Just wanted to ask – how is your paint holding up? Scratch easily or anything like that? I am thinking of adding wooden seats to mine so that jean rivets and things like that don’t mark them up. Hi Jackie, and yay!! :) Honestly, I haven’t noticed any “easy” scratching. It still looks incredible, love the color, but the beauty also of this particular project is that since it is distressed I probably won’t notice too much either. P.S. I love the idea of adding wooden seats! Best of luck! I want to paint my coral barstools. Should I use your same technique even though they came colored. Would it work? 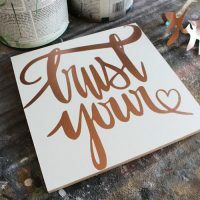 Can’t see your pictures for some reason, but this sounds like the kind of tutorial I need to paint my barstools! Any chance you send me the pics? Seeing them now, thanks! Painting my barstools this weekend, thanks for the tips! Hello..Love the color. 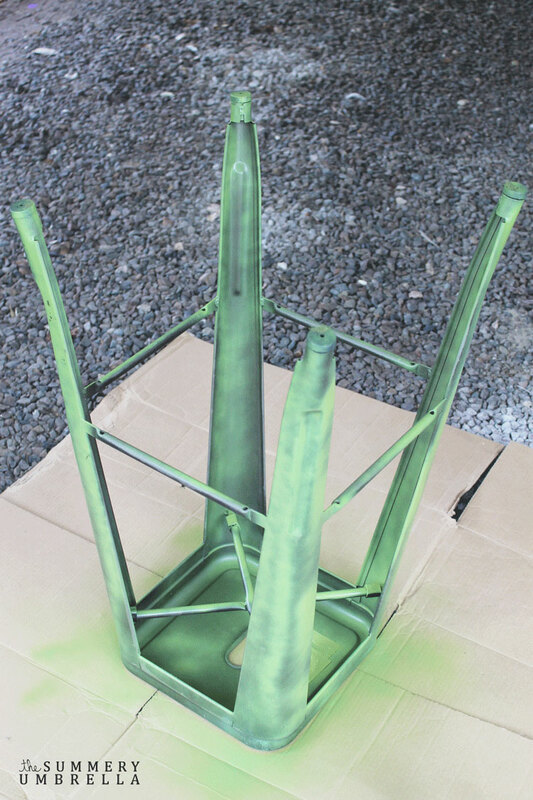 I want to distress some metal barstools that I have without painting. 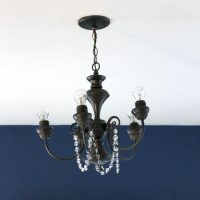 I love the color (grey) but want the distressed look. Do you think the same rechnique will work without painting? This is so lovely, thank you for the detailed instruction, I will try to do it. Hi! Thanks so much for the tutorial. I have these stools in bright orange, and I’m looking to swap out for a new color. 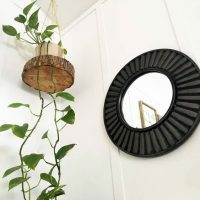 Do you foresee any issues going from a bold color to something more subdued?